6 years ago today, my husband and I got married on the beautiful island of Malta. It was a fabulous holiday, wedding and honeymoon all in one and we had quite a few of our family there to enjoy it with us. 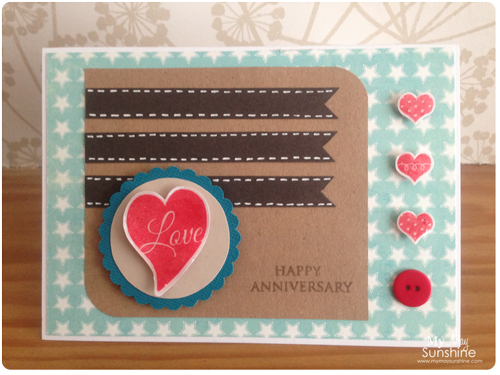 So the card today is the card I made for my husband. 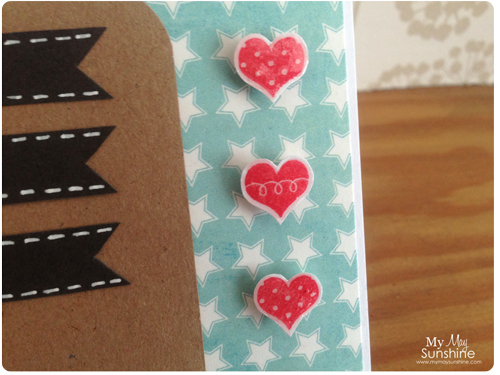 I used the Mojo Monday Sketch 288 for my inspiration and used the Clearly Besotted heart stamps for the images. 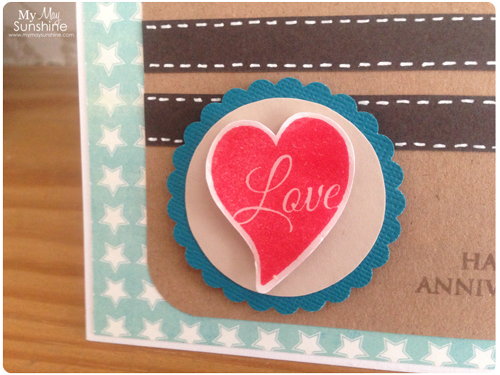 I added some glossy accents on the hearts to add some dimension and added some faux stitching to the banner shapes using a white gel pen. Paper – Basic Grey Fly a kite | Card – Bazzil and American Crafts | Stamps – Clearly Besotted and Hero arts | Button – Hobbycraft | Sakura white gel pen.